The report, which is based on a YouGov online survey conducted with 74,000 people in 37 countries, says that much of the fall is attributable to Facebook's changed algorithms, but that users are also worried about privacy, the toxic nature of debates on the platform and how to distinguish between real and 'fake' news. The report finds that just 23 percent of people trust news on social media, compared with 34 percent in search engines, 44 percent for trust in news overall, and 51 percent for sources that people use themselves. The report offers some positive news for news organisations that are looking to build direct relationships with consumers and refocus on quality journalism. The number of people paying for online news is up in a number of countries, email and mobile notifications are helping to create greater loyalty, and new business models such as membership and donations are beginning to gain traction. While overall use of Facebook remains high and stable, the number of people who use it for news is declining in most markets. News consumption via Facebook is down nine percentage points in the United States compared with 2017, and down 20 points with younger groups. At the same time there has been a rise in the usage for news of alternative platforms such as WhatsApp, Instagram, and Snapchat – particularly with younger groups. WhatsApp use for news has tripled, on average, in four years to 15 percent, but tends to be much higher in countries like Malaysia (54 percent) and Turkey (30 percent), where it can be dangerous to express political views in more open networks. Facebook algorithm changes have clearly played a part as the company prioritises interactions with family and friends and tries to limit the impact of 'fake' news. But focus group evidence suggests some consumer behaviour is changing too. Respondents often talk about finding stories on Facebook (and Twitter) but then posting them to a WhatsApp group for discussion with a smaller, closer set of friends. 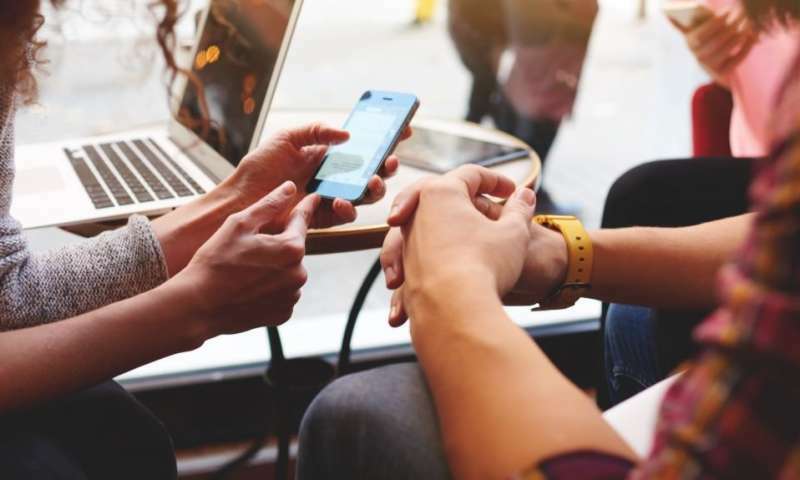 Report lead author Nic Newman said: "We are seeing many switching their focus to more personal, private spaces like messaging apps for sharing and discussing news. This gives people more control over where and how they engage, but also potentially makes public debate and news distribution even more fragmented and opaque." Over half of those polled (54 percent) say they are concerned about whether news is real or 'fake' on the internet. This is highest in countries like Brazil (85 percent), Spain (69 percent) and the United States (64 percent), where polarised political situations combine with high social media use. It is lowest in Germany (37 percent) and the Netherlands (30 percent), where recent elections were largely untroubled by concerns over 'fake' content. Most respondents believe that publishers (75 percent) and platforms (71 percent) have the biggest responsibility to fix problems of 'fake' and unreliable news. This is because much of the news they complain about relates to biased or inaccurate news from the mainstream media rather than news that is completely made up or distributed by foreign powers. But the appetite for government intervention over misinformation differs greatly. Support in Europe (60 percent) and Asia (63 percent) contrasts with reticence in the US where only four in ten (41 percent) thought that government should do more. Professor Rasmus Kleis Nielsen, one of the report's editors and Director of Research at the Reuters Institute for the Study of Journalism, said: "Many clearly hold the major platform companies responsible for problems of disinformation, but even more see publishers as responsible for unreliable news. The whole discussion around disinformation is about digital media, but the frequent use of the dangerous and misleading term "fake news" resonates with a long-standing crisis of confidence, where much of the public does not feel it can trust the news, especially in countries with highly polarised politics and where many media are vulnerable to undue economic or political influence." This year's report contains mixed news for publishers looking to build sustainable online revenue. Nordic countries have seen significant increases in the numbers paying for online news, with Norway reaching 30 percent (+4), Sweden 26 percent (+6) and Finland 18 percent (+4). All these countries have a small number of publishers, the majority of whom are relentlessly pursuing a variety of paywall strategies. By contrast, more complex and fragmented markets in Europe have seen little subscription growth despite increased attempts to charge for some online content. Last year's significant increase in digital subscriptions in the United States (the so-called "Trump Bump') has been maintained, while donations and donation-based memberships are emerging as a significant alternative strategy in Spain and the UK, as well as in the United States. These payments are closely linked with political belief (the left) and come disproportionately from the young. The Guardian is one publisher that has attracted hundreds of thousands of donations and the survey suggests that about a quarter might be prepared to pay in the future if publishers are unable to cover costs in other ways. The report also reveals that more than two-thirds of respondents (68 percent) are either unaware of the financial problems of the news industry or believe that most news organisations are making a profit from digital news. Those that were aware that most digital newspapers are making a loss are more likely to pay for a news subscription or give a donation. Professor Rasmus Kleis Nielsen said: "The verdict is clear: people find that some news is worth paying for, but much of it is not. The challenge for publishers now is to ensure that the journalism they produce is truly distinct, relevant and valuable, and then effectively promoting it to convince people to donate or subscribe."